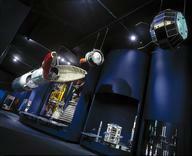 V2 Rocket, A4 missile, with handling ring, unsigned, Germany, 1945. Gallery view. 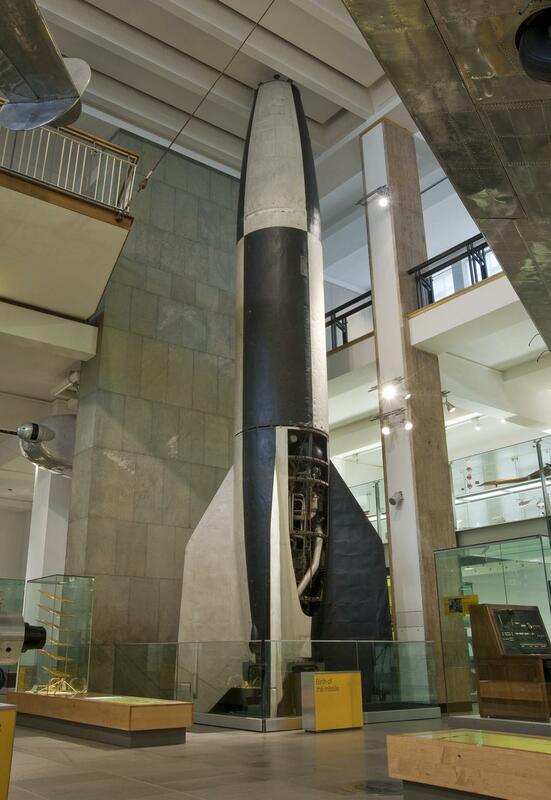 The German V-2 rocket was the world's first long-range missile. Most of the 4000 fired during the last months of the Second World War were aimed at London and Antwerp from the Hook of Holland. 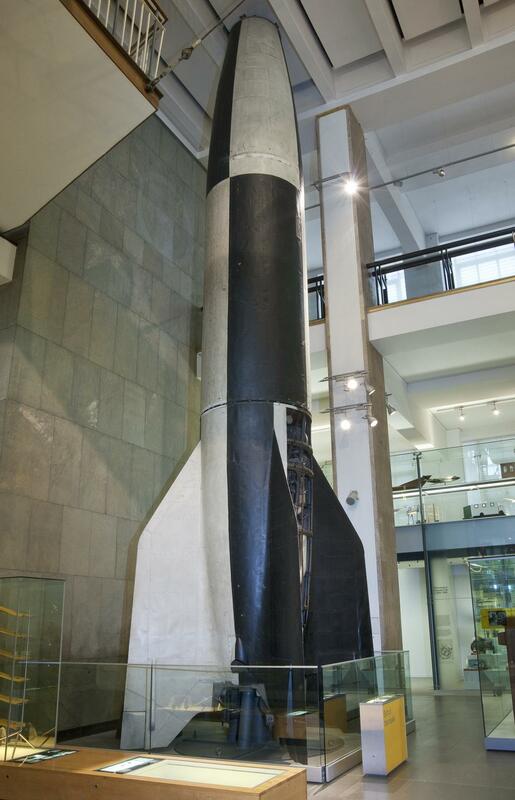 This V-2 was constructed from components captured by the British army in 1945. 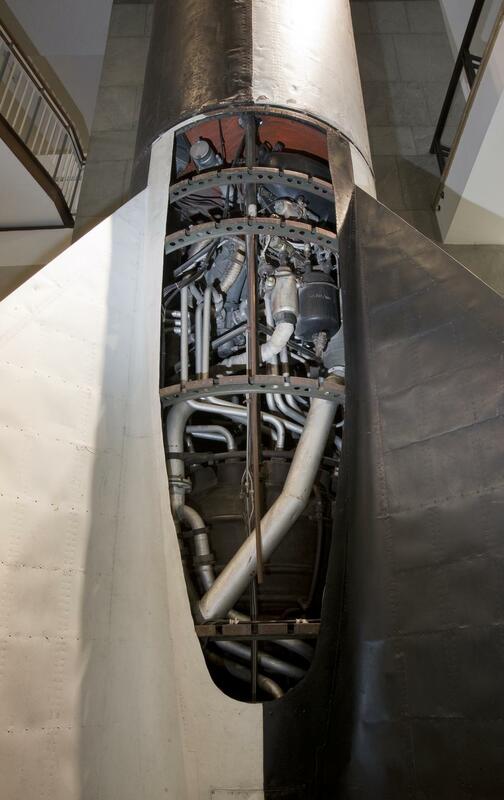 The V-2's liquid propellant engine and guidance systems were far more powerful than anything built before.